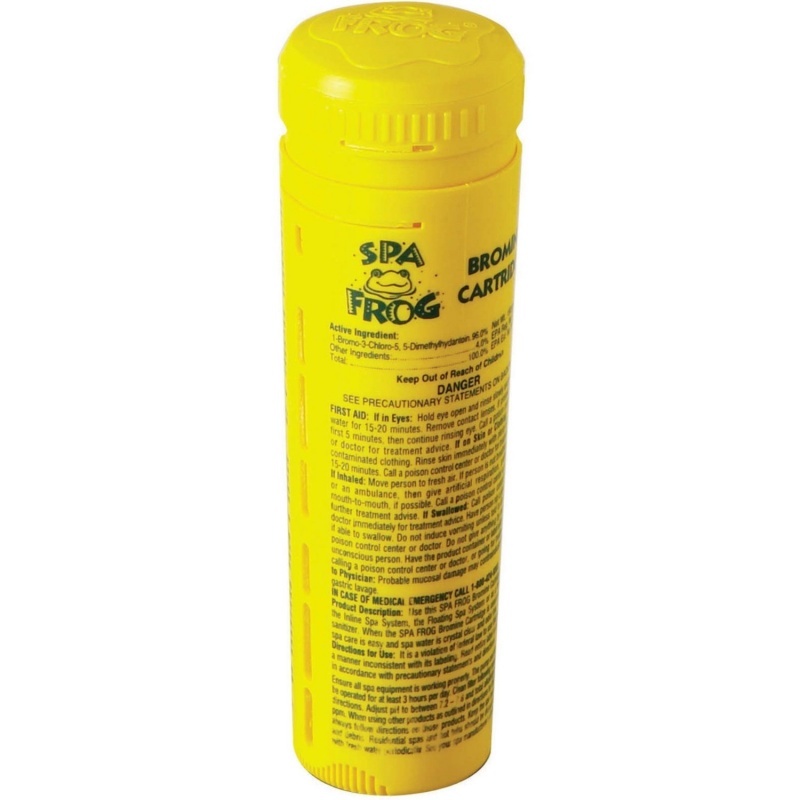 Spa Frog is a revolutionary spa chemical system that provides exceptional water quality and chemical balance control whilst being quicker and easier to use than standard chlorine or bromine systems. 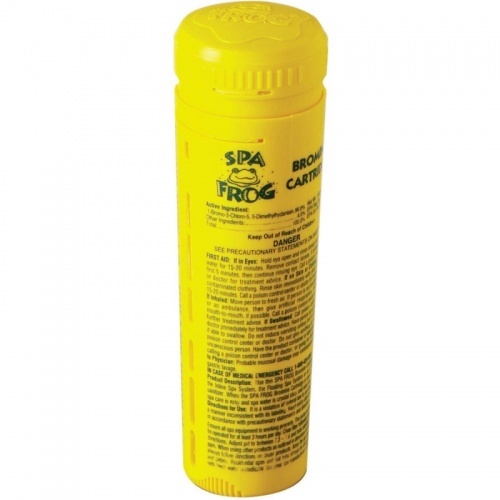 These Spa Frog bromine cartridges will work, in conjunction with a mineral cartridge, to control bacteria for up to a full month, meaning considerably less on-going maintenance. Using a mineral system reduces the need for high levels of bromine in the water, with bromine use cut by up to 50% against the standard recommended bromine level of 2ppm. This lower level of bromine causes less strong odours and leaves water feeling softer and looking crystal clear. To use the Spa Frog cartridge system you will either need to have a Spa Frog floating dispenser or a Spa Frog In-line system fitted to your spa.